Bath found in Brazil hotel has every sign of being a mikvah - but historians are still trying to prove it. Historians are investigating whether a 17th-century bath found in Brazil’s first capital city is the country’s oldest evidence of a Jewish presence. The bath was discovered 10 years ago inside an old hotel located in Pelourinho, the historic center area of Salvador, the capital of the northeastern Brazilian state of Bahia. According to the facility’s manager, an Orthodox Jew first raised the hypothesis that the bathtub might actually be a mikvah, or a ritual bath. “I didn’t know what a mikvah was, but this information indeed matches the fact that there were many new Christians here in the historic center area, in Bahia state, in the Brazilian northeastern region,” Bruno Guinard told G1, referring to the Jews who were forced or chose to convert to Christianity in the 15th century to save their lives but kept their Jewishness in secrecy. The hotel is located next to the Sao Francisco Church, one of the country’s oldest religious temples. Brazil was a Portuguese colony until 1822. During this whole period, Judaism was forbidden by the Catholic Church, including the practice of using a ritual bath. 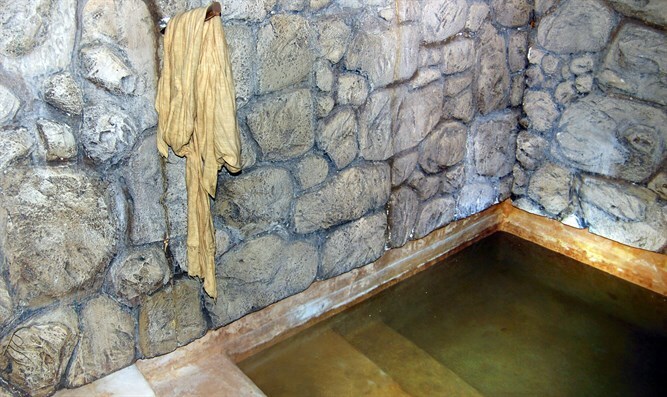 “A mikvah has the function of purification for women and is also used for conversions,” Miguel Kertzman, president of the Israelite Society of Bahia, told the news portal. Researchers from universities in Bahia and Sao Paulo began to study the place a few years ago. A tank to collect water, located above the bathtub, reinforces the chances of it being a mikvah, which needs fresh running water, according to the Jewish tradition. To fuel the findings, the historians unveiled a lawsuit filed at that time by the Catholic Church against a Portuguese citizen who lived near the building. According to the lawsuit, the European person taught a woman Jewish religious practices, including the use of a ritual bath in an actual mikvah, which may or may not be the one in the hotel. If the bath is confirmed to be a mikvah, it will become the oldest vestige of the Jewish presence in Latin America’s largest nation, which is home today to some 120,000 Jews.